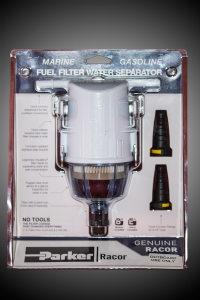 For gasoline, diesel and bio-diesel; at just 4" x 8", SNAPP is big protection for engines up to max horsepower of 140 HP or 26 GPH (100 LPH) & are available in 2, 10 or 30 micron & is also available with or without the drain valve. 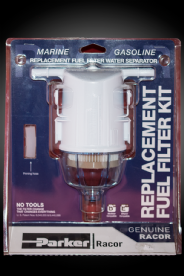 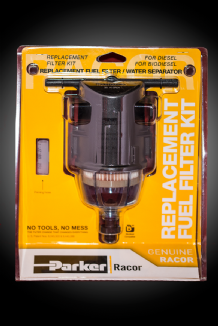 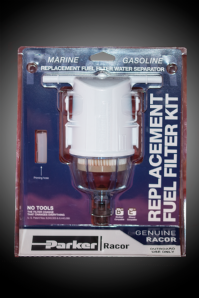 Racor SNAPP fuel filter water separators are packaged for a first fit installation with stainless steel (marine) or steel (mobile) mounting bracket and quick connect fittings suitable for 3/8” ID hose. 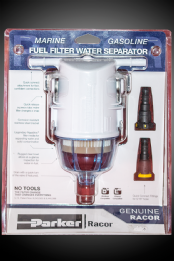 The replacement kit includes a new SNAPP filter and priming accessory. 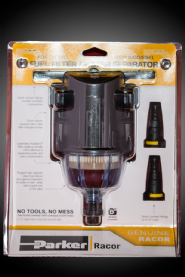 No tools required.